Fleas and ticks aren’t just annoying; they also carry disease. Use a high quality prevention each month – and make sure it is for cats. Cats are much more sensitive to toxins than dogs and can’t use a product for dogs, even if the weight range is right. Discuss with your veterinarian. 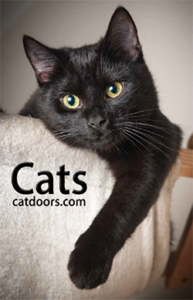 Download our free book about cats!